Description: Join us for a Party like no other…Dancing, Limbo, Dodgeball, and food for sale. Tickets are on sale now at the YMCA for just $4.00. Buy your tickets early to avoid a crowd at the door! DANCE ONLY, the gyms, hallways and other areas of the Y are not open for those attending the dance. 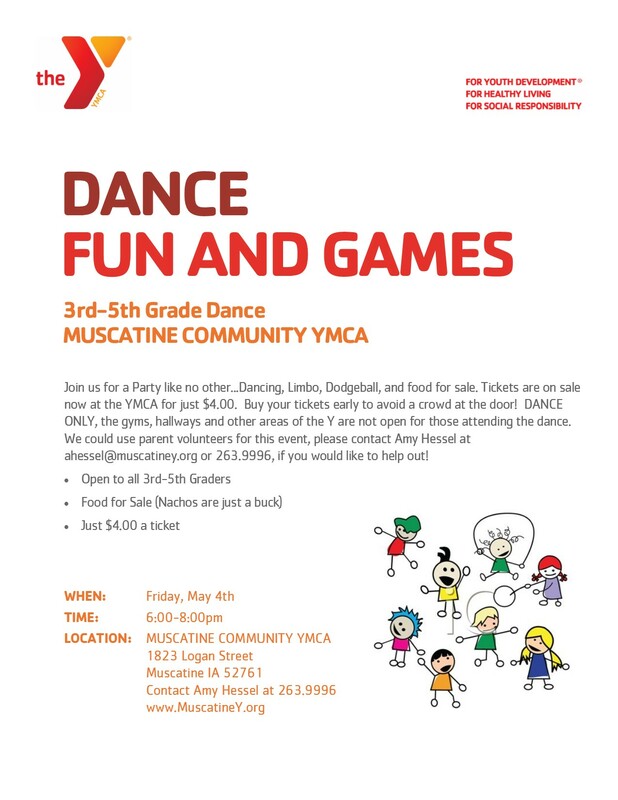 We could use parent volunteers for this event, please contact Amy Hessel at ahessel@muscatiney.org or 263.9996, you would like to help out!